Sri K.S. 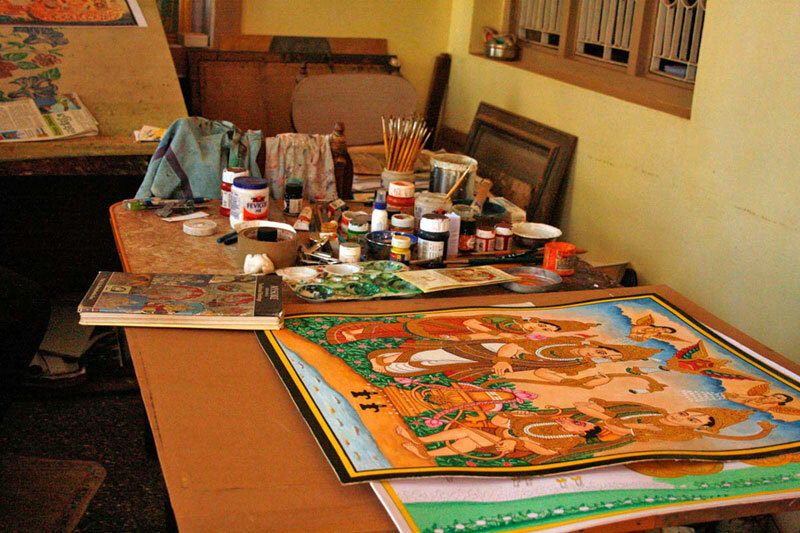 Shreehari: A painter who tried to revive and establish the family heritage in a more concrete manner. 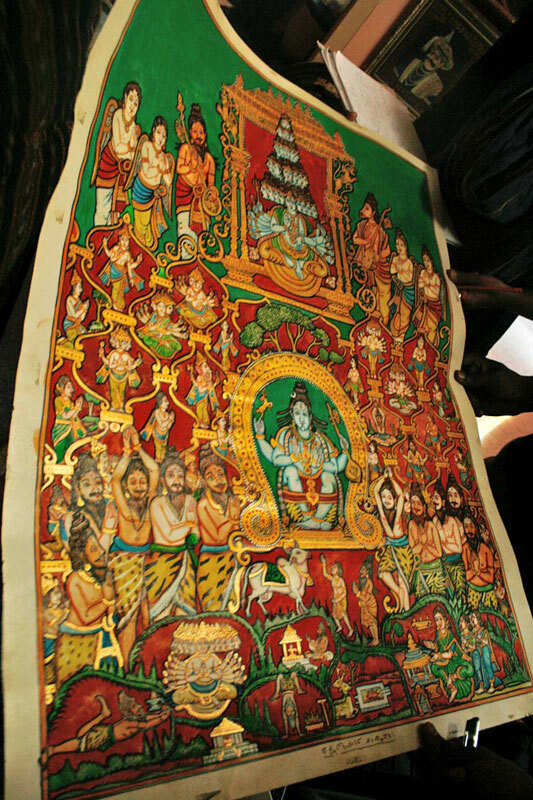 Apart from the subjects like Raja Rajeshwari, Sri Rama-pattabhisheka, Kodandarama, Tripuraasura-Samhaara, 32 forms of Ganesha and familiar themes of traditional painters of Mysore, Mr. Shreehari proved his expertise in the paintings of such exotic themes like a zigzag puzzle like 'Panchanaari-Turaga', i.e., figure of horse comprising five female figures and 'Navanaari-Kunjara' i.e., figure of elephant comprising nine female figures. 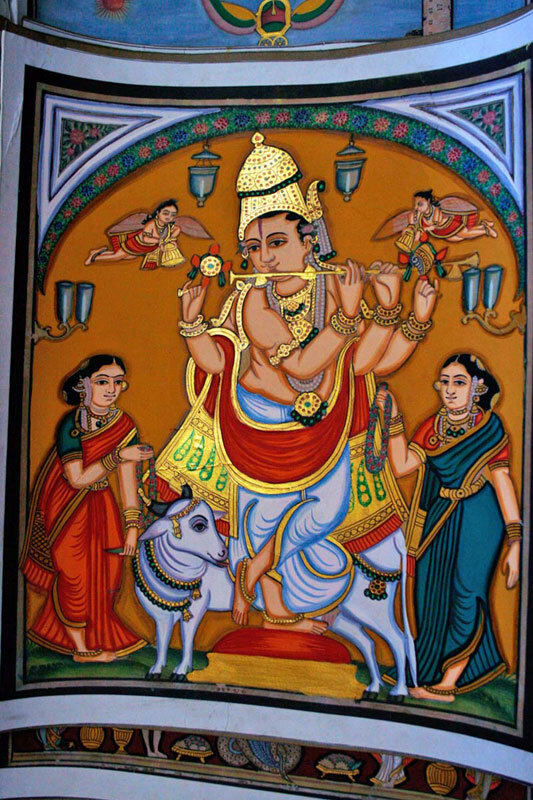 One of his works entitled 'VirataVishwaroopa' testifies to his eye for minutest details and a creative imagination, it represents a form of Vishnu embodying the entire universe with all its animate and inanimate objects. M. Ramanarasaiah: He was the curator of Jayachamarajendra Art Gallery for a long time and has executed most of the paintings related to the Mysore Royal Family. 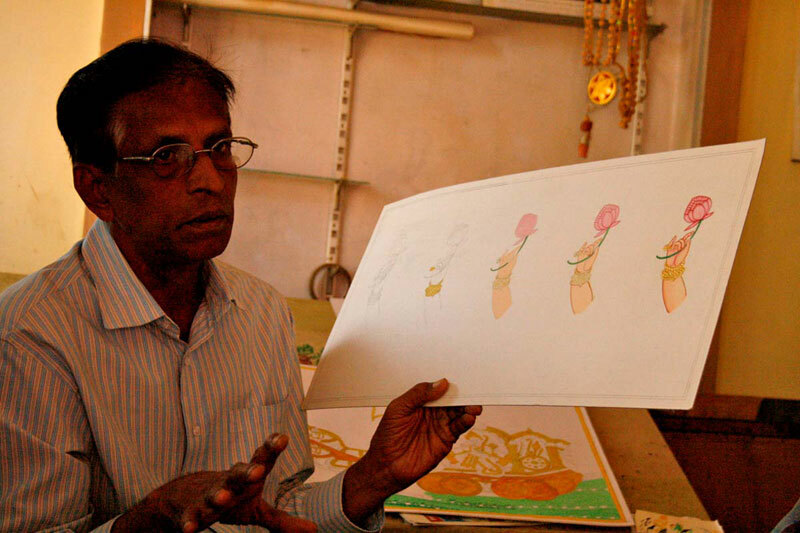 Mr. Ramanarasaiah was the palace artist and was also in charge of the exhibits of the gallery. He is a very famous mysore artist. 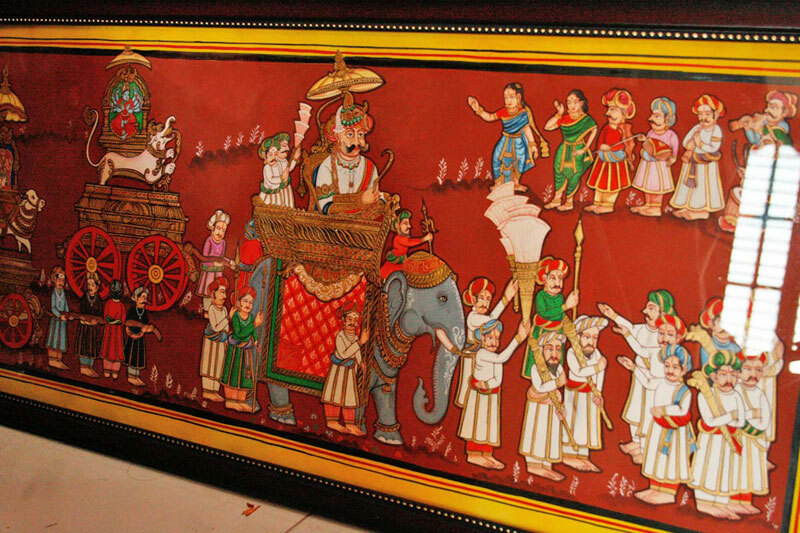 He has done a lot of paintings depicting Mysore culture and tradition, having the same subject/theme. He has been an inspiration for existing and upcoming Artists. 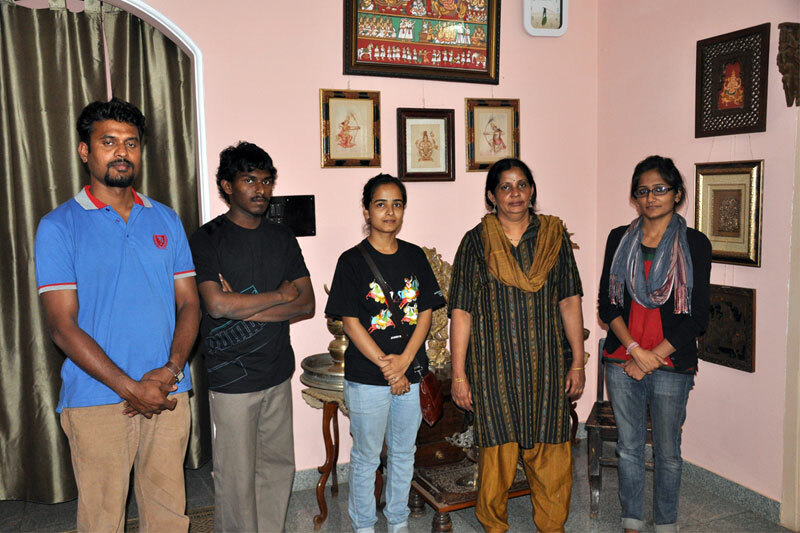 Ms. Chandrika: She is the daughter of Shri Ramanarasaiah and has been following her father’s footsteps. 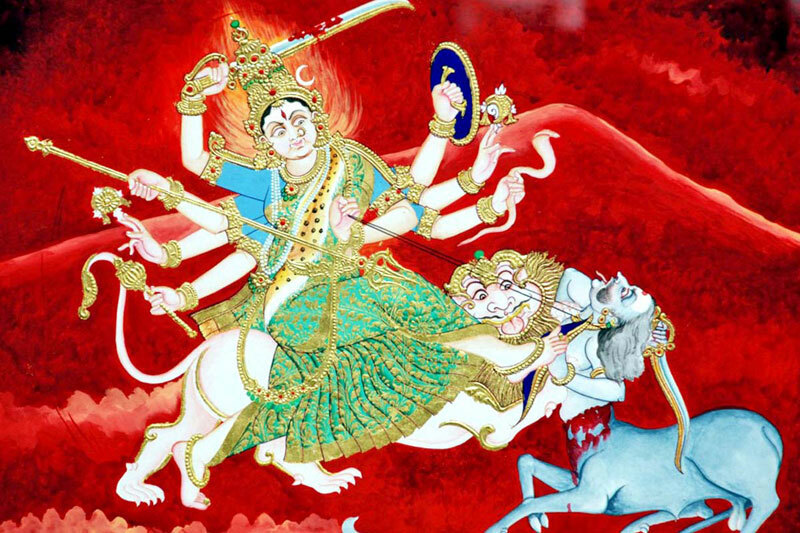 She works on subjects mentioned in shlokas. 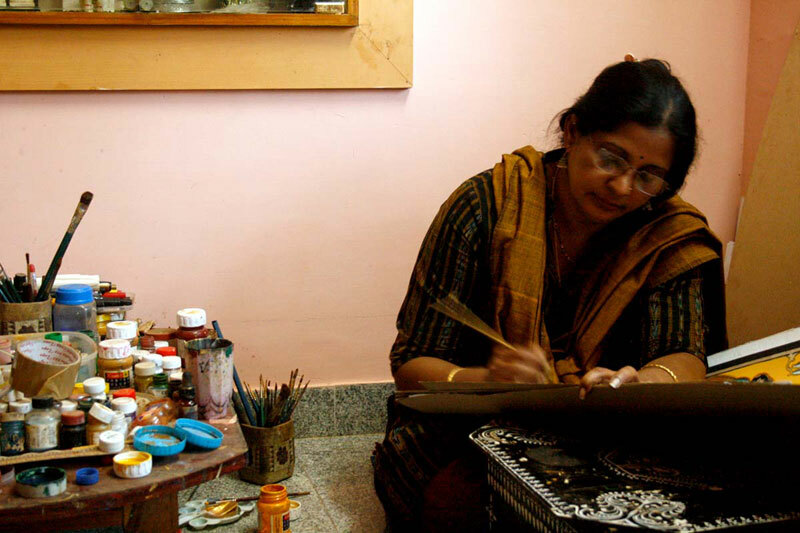 Apart from Mysore painting, she has worked on Tanjore and Ganjifa painting. She has also tried to replicate Raja Ravi Varma’s painting. She has rich experience of working with different medium like watercolor, acrylic and oil. 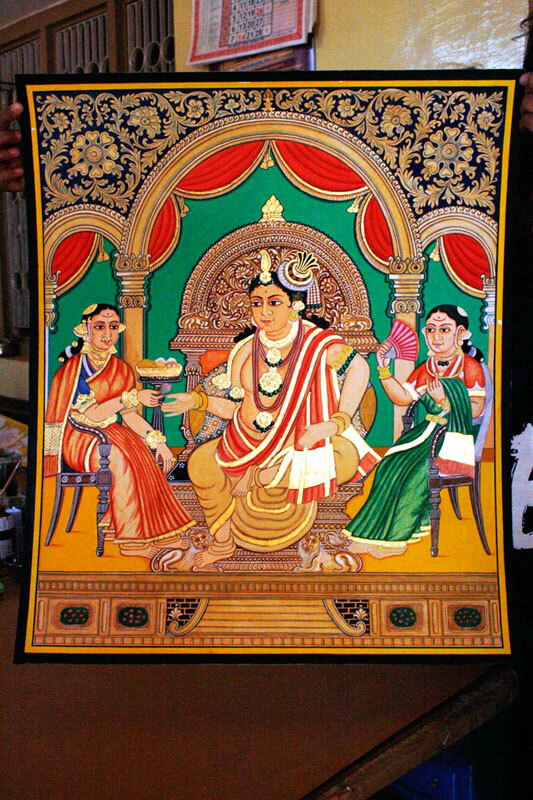 Mr. Aanand: Mr. Anand is one of the Mysore painting artist in Mysore. 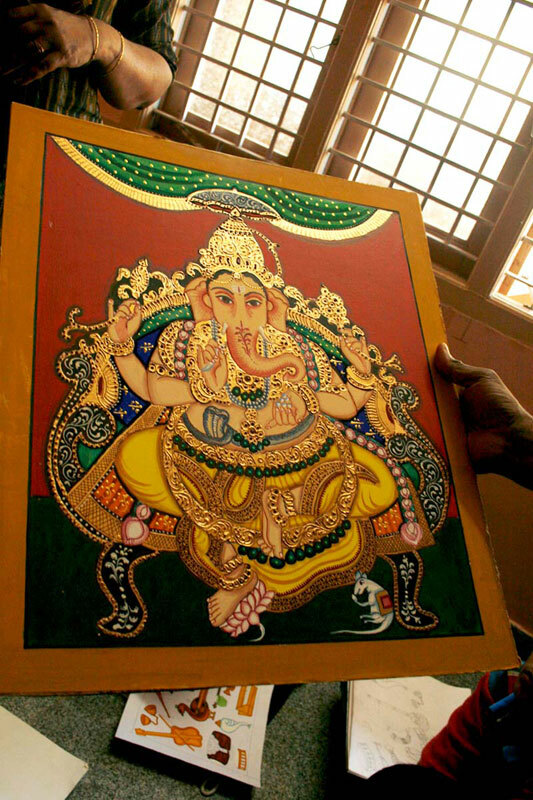 He has learnt this style of painting by himself guided by famous artists in Mysore. Currently, he teaches many students and promotes this art. 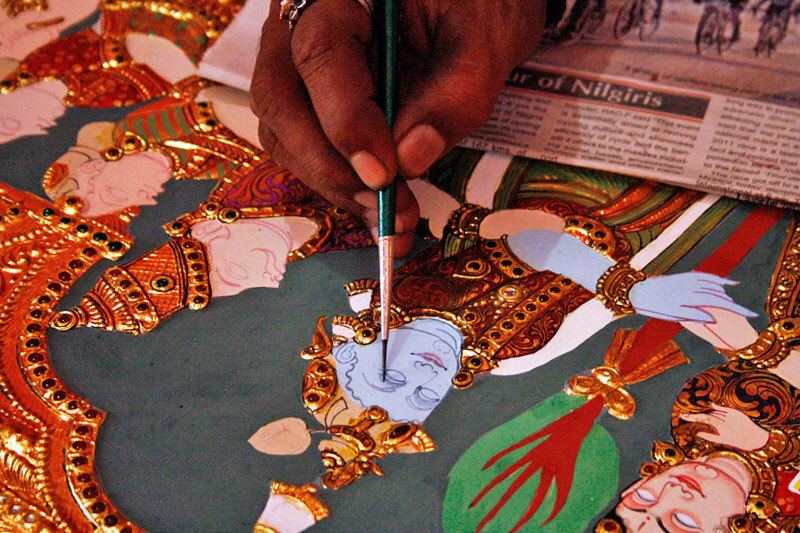 He works on various subjects ranging from Gods, Goddesses and Dussehra Festivals. 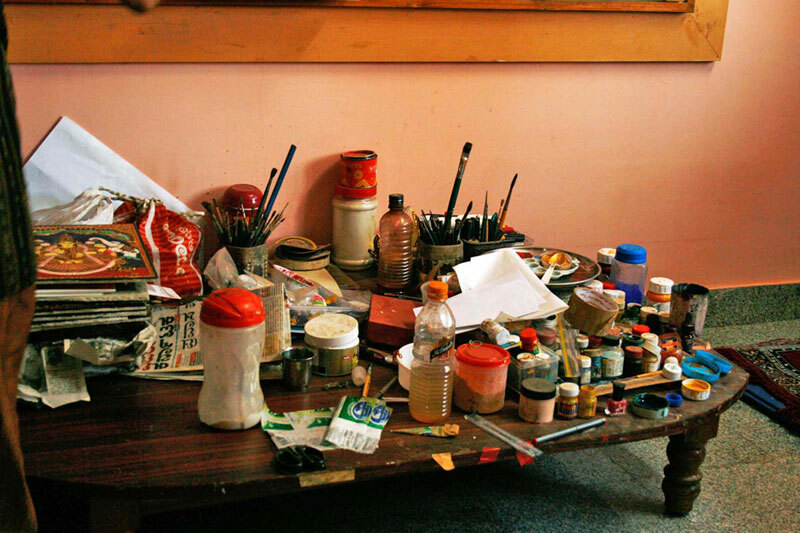 He also does retouching and curator’s job for ruined paintings. 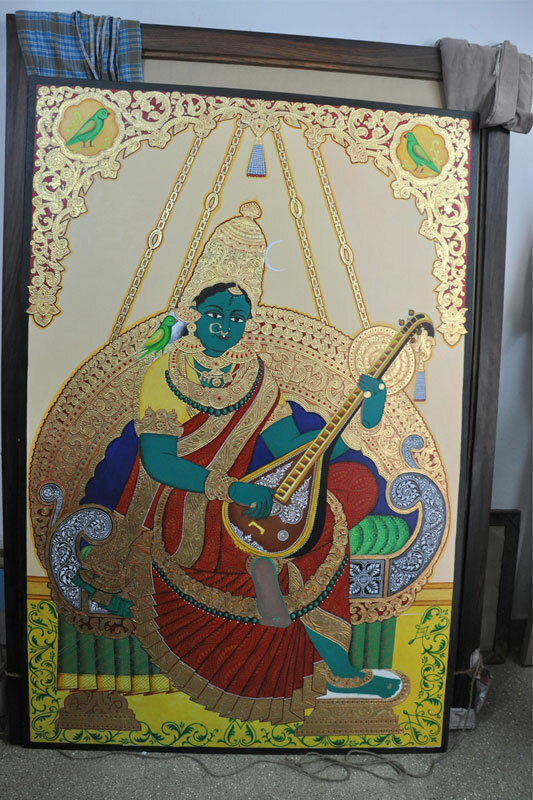 He also does painting by mixing Tanjore and Mysore traditional painting styles water painting, oil painting, recreation of Ravi Varma’s paintings and photography. B.P. Ramakrishna: Shri B.P. 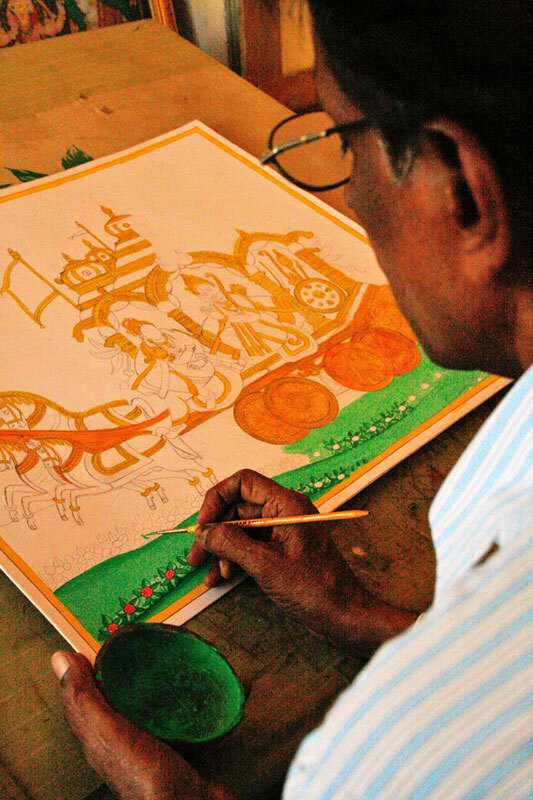 Ramakrishna is one of the traditional artists in Mysore with about 35 years of experience. 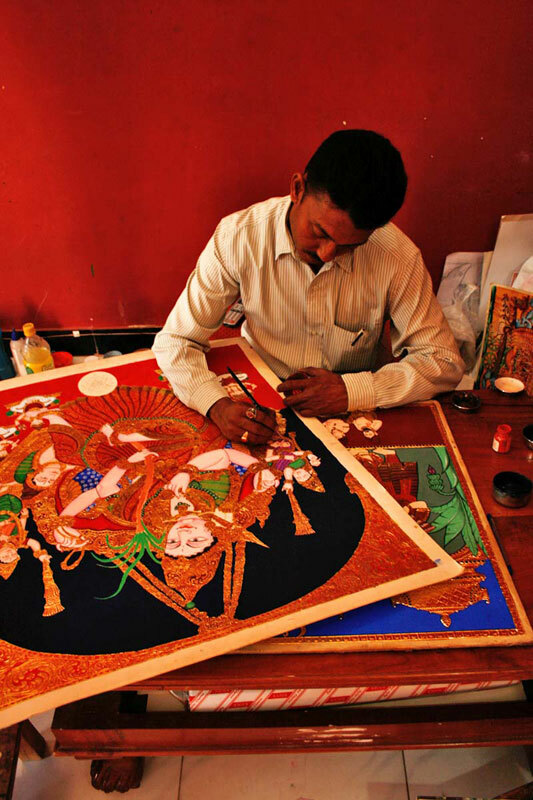 He has two sons Ashwin and Naveen who are completely supporting his father in painting works. Shri B.P. 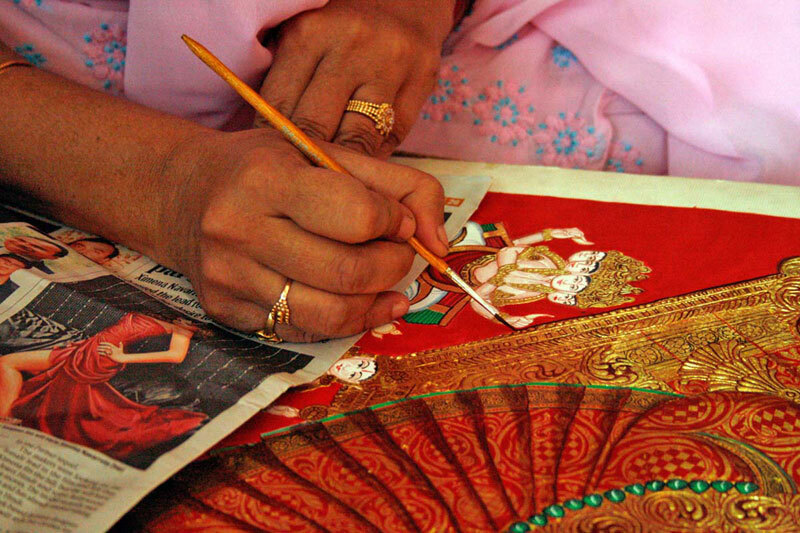 Ramakrishna also provides training on Mysore traditional painting. The basic training course is oftwo and half monthsduration. R.G. Singh: Mr. R.G. Singh is a well known curator in Mysore. 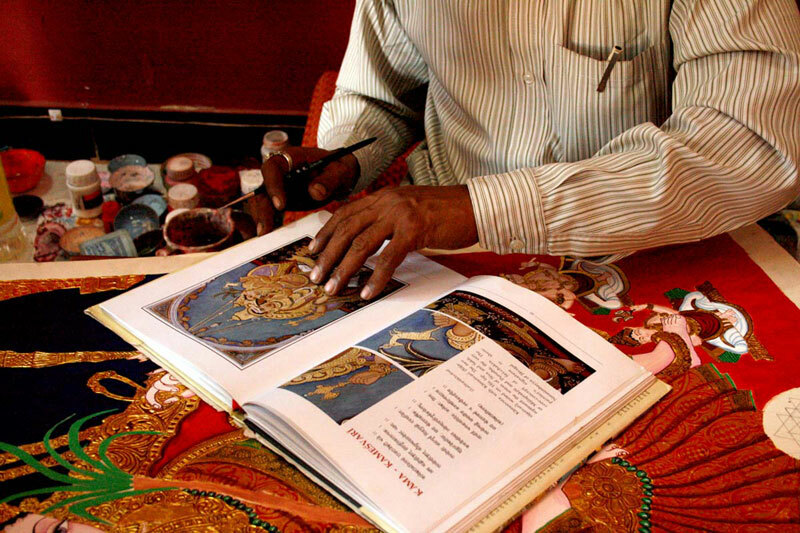 He has a great interest in Mysore paining and has a good collection of Mysore painting. He has a complete historical account of Mysore Painting.